My mom’s zucchini bread is legendary. So good, in fact, that we had it as a wedding dessert. 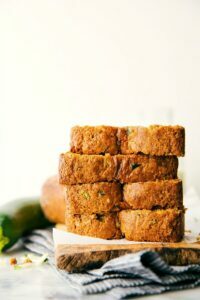 My mom made dozens of mini loaves of zucchini bread and cut up small slices for the guests. They were a huge hit. But that was no surprise. Her zucchini bread is always a huge hit. It’s also my husband’s favorite bread recipe! So now that I’ve talked up my mom’s zucchini bread so much, you are probably wondering why this recipe isn’t zucchini bread. Her famous recipe is actually right here, but this bread is adapted from that. 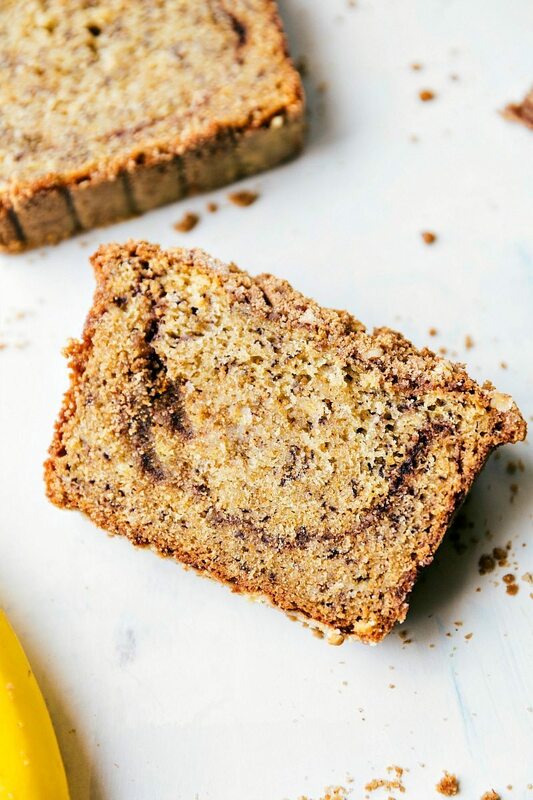 With a little more cinnamon, no zucchini, and a whole lot of banana! 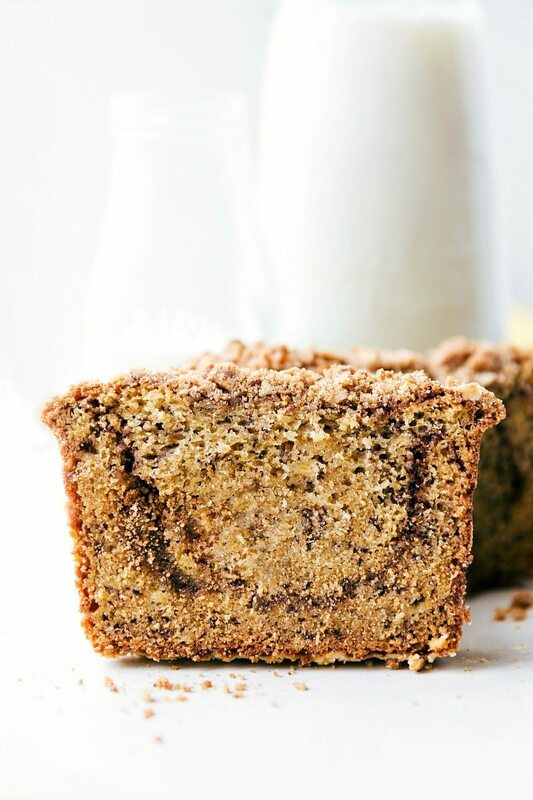 It’s also got a thick delicious streusel topping that gives it an awesome crunchy topping. 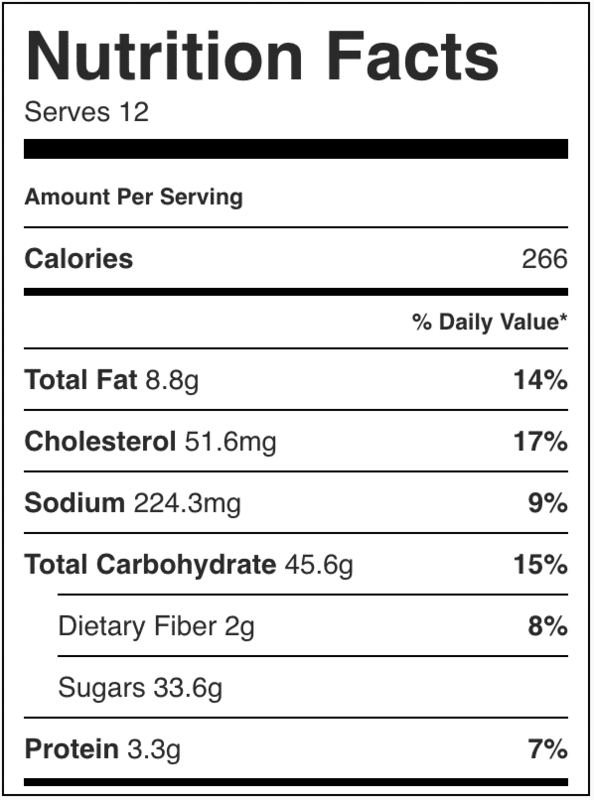 Also, some good news; if you aren’t a fan of that cinnamon swirl you can leave it out without any changes to the recipe. 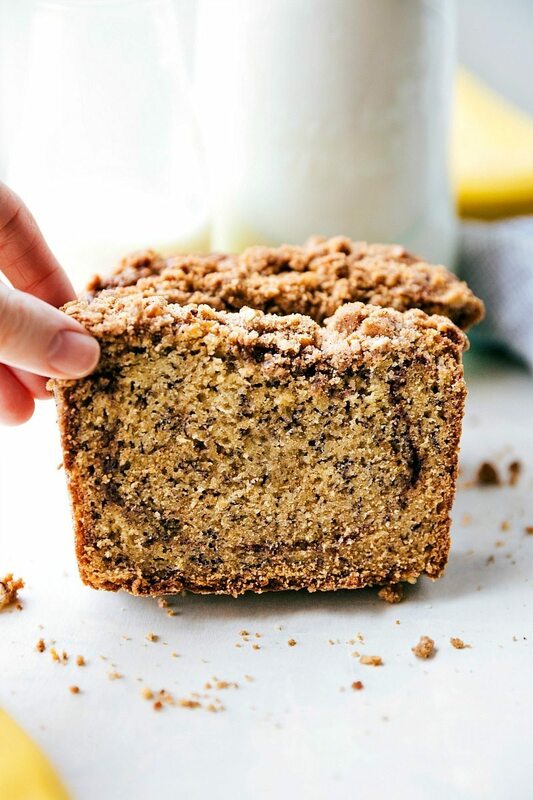 Same for the streusel — in fact, both can be left out and this banana bread is still fantastic. With both in though, it’s totally unbeatable! Preheat the oven to 350 degrees F. Generously grease and lightly flour a bread pan. Use a 9 x 5 bread pan for best results. In a large bowl, beat together the butter and sugar until light and creamy. Add in the eggs and vanilla. Stir in the well mashed bananas and Greek yogurt and mix until combined. In another bowl, toss together the flour, baking soda, salt, and if desired, nuts. Toss together the white sugar and ground cinnamon for the cinnamon swirl. Pour half of the bread batter in the prepared pan and then put the swirl ingredients in the middle. Pour the rest of the bread batter on top. Combine all of the streusel topping ingredients and mix until well combined. Knead with your hands to get the mixture to come together. Place evenly over the bread. Bake for 60 minutes or until a toothpick comes out clean when inserted in the center. Allow to cool for 10 minutes before inverting the loaf onto a wire cooling rack. 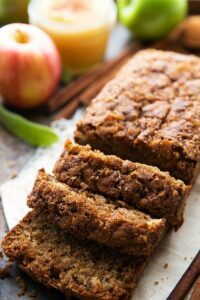 Love zucchini bread and love banana bread, so obviously I love this!! Yum! 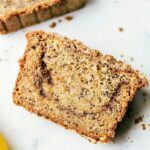 I made this banana bread last night and it turned out amazing!! It’s so nice to have with a cup of tea :). A couple of notes: Step #6 says to use “white sugar and cinnamon” for the swirl, but I think you probably meant to write “brown sugar and cinnamon”. Also – when I inverted the loaf onto a cooling rack, I lost a lot of the streusel topping. Should I just make sure there is a plate underneath the rack next time I do the flip and put the topping back on, or is there another trick that I’m missing? 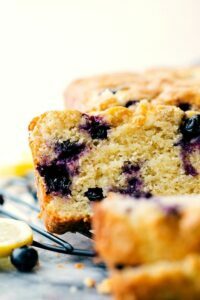 Thanks so much for this recipe – it’s delicious!